There are five bound volumes titled Alphabetical List Giving the Particulars of Officers of the Indian Army Reserve of Officers held in the Asian and African Studies Reading Room at the British Library in London. These volumes contain information regarding officers who were appointed to the Indian Army Reserve of Officers during the First World War. While all officers should appear in the books I have researched a couple of officers who don’t. These volumes are on open access and you can find them on the lowest shelf of one of the smaller bookcases on the right hand side. While the books don’t need to be ordered, you will need a Reader’s Pass to gain access to the Asian and African Studies Reading Room. Volume 3 has been transcribed on the Families in British India Society and can be viewed for free by clicking this link: View Officers contained in Volume 3. As I regularly research Indian Army Reserve of Officers for clients I have copies of all the books. You will need to know the date your officer was commissioned to check the right volume. However, as the officers are listed alphabetically and the volumes aren’t that large you’ll be able to find them even without this information. If you don’t know what date your officer was commissioned into the Indian Army Reserve of Officers have a look at an Indian Army List or use the London Gazette. I’d recommend using the Indian Army List first. What Information do the Indian Army Reserve of Officer Books Contain? Date of Appointment to the I.A.R.O. The most important information recorded is where an officer trained and their previous service as this information is often not found elsewhere. Below are some transcriptions from the previous service column which you an idea of what information can be found. 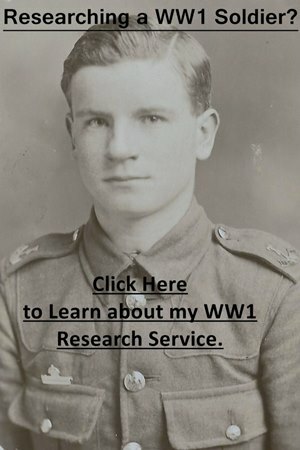 Walter Reginald Allbrook – Bombardier, 216th Brigade, Royal Field Artillery. Educated: England. Soldier. Frederick George Amey – 6th Dragoon Guards, 8 years. Volunteer. Educated: Army. Assistant in Kolar Gold Fields. Wilfrid Lawson Armstrong – Chota Nagpur Light Horse. Volunteers. Educated: England. Merchants Assistant, Messrs. Jardine Skinner and Company, Calcutta. Harold Angus Binning – Calcutta Volunteer Battery, East Africa, 4 months. Educated: England. Broker. All the officers below appear in Book 5 with the date referring to when they were appointed to a commission in the IARO.